Image Comics/Skybound has fast-tracked GREEN VALLEY #2 by Max Landis (Chronicle, American Ultra, Superman: American Alien) and Giuseppe Camuncoli (Amazing Spider-Man) to a second printing in order to keep up with increased customer demand. In GREEN VALLEY, the knights of Kelodia are the finest in the land, but they’ve never faced a power like the one that resides in the Green Valley... Welcome to the world of Green Valley… where nothing is ever what it seems. 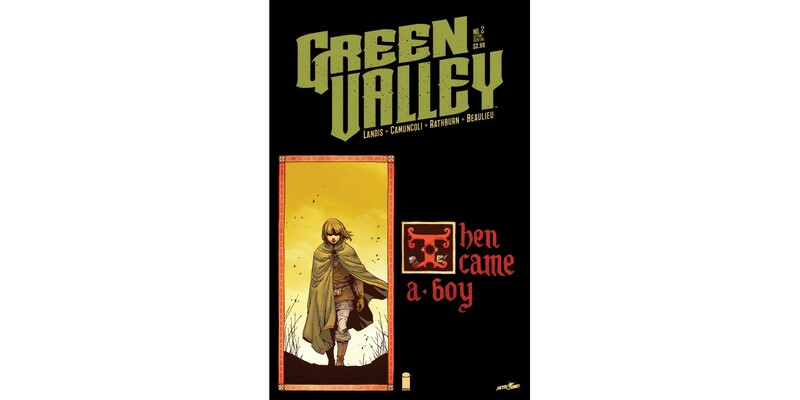 GREEN VALLEY remains available for purchase across all digital platforms, including the Image Comics website (imagecomics.com), the official Image Comics iOS app, Comixology’s website (comixology.com), iOS, Android, and Google Play. GREEN VALLEY #2, 2nd printing (Diamond Code SEP168894) and GREEN VALLEY #3 (Diamond Code OCT160612) will be available on Wednesday, December 14th. The final order cutoff deadline for retailers is Monday, November 21st.